With the release of the iPhone 6s and 6s Plus, Apple smashed its own record sales for a new device's first few days on the market. It's clear that we can't get enough of this innovative technology. The subsequent launch of the much-anticipated iOS 9 brought in big updates to apps and services we use everyday. What might have seemed like simple additions to the operating system meant new ways to share content, increased device security, a more intuitive Siri and improved functionality of apps like Notes, Maps and Safari. What with the latest 9.3 update introducing the brand new News app too, there's been a lot going on! 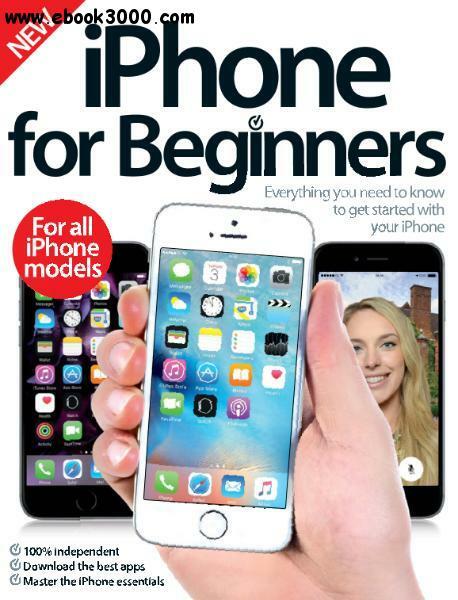 This new edition of iPhone for Beginners covers everything you need to know, from setting up your new iPhone to getting the most from the pre-installed apps on your device, editing your photos to getting directions, Apple Music to Apple Pay. Get to grips with all the best features via our step-by-step tutorials and see how your device can transform your life. Enjoy the book!